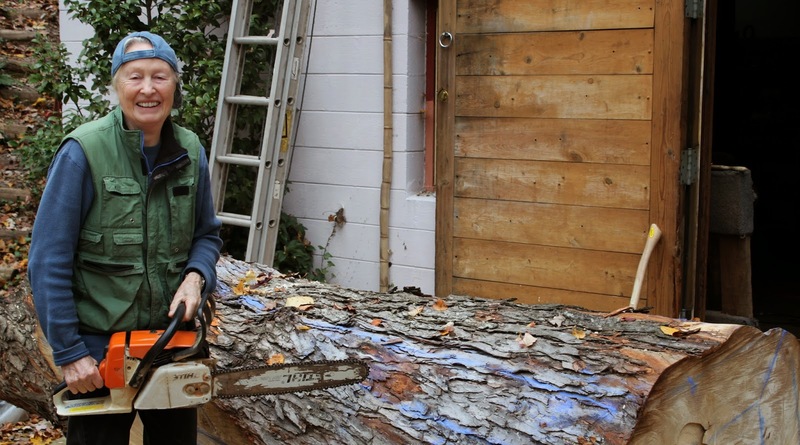 Emilie Brzezinski is a world renowned artist, and a chain saw is her tool of choice. During the last two decades, her monumental wood sculptures have been featured in galleries and museums around the globe, and she creates all of them with a STIHL. Born in 1932 in Geneva, Switzerland, Brzezinski immigrated to the United States and grew up in California where she first started carving by making small animals out of driftwood. She began a serious art career in the 1970s working with plastics, latex, and wood fiber. Her expressive themes always related to nature. Eventually, she focused entirely on monumental wood sculpture, using a chain saw and an axe to carve life into found wood. We were honored to sponsor Emilie's display of her beautiful sculpture "Lament" at the Kreeger Museum in Washington D.C. Learn more about Emilie Brzezinski and her work at www.thelureoftheforest.com . Read about her work in her book The Lure of the Forest: Sculpture 1979-2013. Stay current with Emilie’s latest developments in her studio on “The Brzezinski Blog”. You can also follow Emilie on Twitter @ebbtrees, and like her on Facebook.